Warwickshire Fire and Rescue Service is offering local residents a free ‘Safe and Well’ check to reduce the risk of fires in the home. Safe and Well visits – previously called a home fire safety check – are an important part of the fire service’s role to raise awareness of potential fire hazards and other safety concerns. A fire officer will visit to assess the hazards in your home and provide advice on how to reduce your fire risk. Feedback from some members of Shipston’s Senior Citizen Action Network suggests the visits are really useful. Imran Dean attended Shipston Town Council’s February meeting to talk more about the fire service’s community work. The service is working hard to improve access to becoming a firefighter and is about to embark on a recruitment drive. The team is particularly keen to hear from women who may be interested in a career as a firefighter. A career in the fire service is very varied. As well as training and active duty fighting fires, officers now provide community services including a hospital transport service to ensure vulnerable patients are returned home with support to settle back in. This new service has been piloted in the last six months and has been well received by patients. To book your Safe and Well visit, contact 01926 466282 or visit https://www.warwickshire.gov.uk/safeandwellvisit. 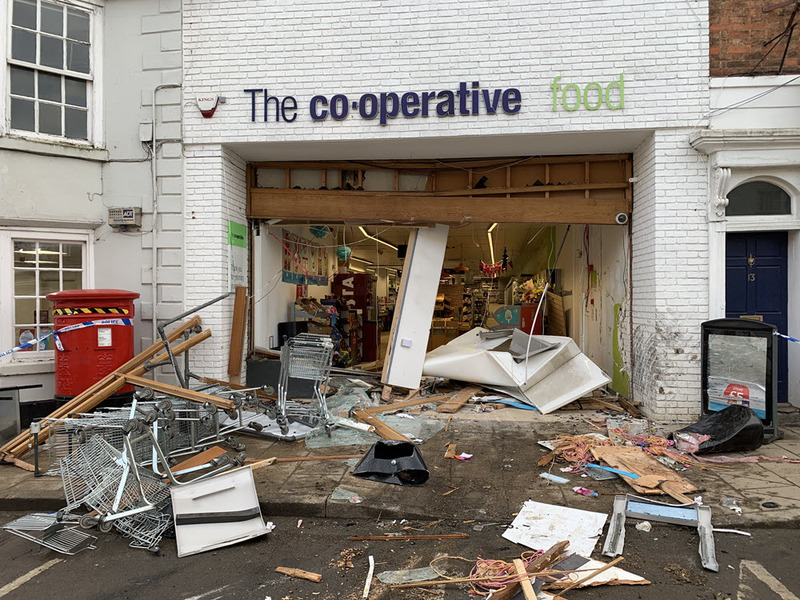 As the Forum went to press, news emerged about the theft of the cashpoint from the larger Co-Op. Police have since recovered the stolen ATM - the thieves were unable to obtain any money from it. Police enquiries are ongoing and witnesses with information should call 101 quoting incident 18 of 18 February 2018. After signing on the dotted line, the Proms Committee has revealed who is playing at the 2019 Shipston Proms. 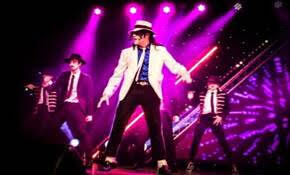 Get set for a thriller of a night when internationally renowned impersonator and top tribute sensation, David Boakes, conjures up all the moonwalking magic of Michael Jackson. Boakes will be performing his live singing, dancing, and show stopping moves on the Launch Night of the Shipston Proms on Friday 14th June. The headliners on the last night will be tribute 90’s band Britpop Boys, who will bring their swagger and rousing 90’s anthems to the stage on Saturday 29th June. We’re promised all the popular songs from bands including Oasis, Blur and Pulp. Also on the last night, one of the best – and local - blues bands on the UK music scene, Oliver Darling and the Living Legends, will be playing 50’s R & B, swing and rock and roll to add to the excitement. Between the Launch Night and the Last Night the Proms will once again offer music for all tastes. For lovers of classical music one of the world’s finest classical guitarists, Australian-born Craig Ogden and his opera-star wife mezzo soprano Claire Bradshaw will be appearing at St. Edmund’s on 20th June courtesy of the Music Society. For a younger audience, on the middle Friday, there will be DJ set and Dance Party at the Townsend Hall hosted by legendary dance party promotor and DJ Tim Samsara. And, of course there is the Fame Competition for all ages to enter. More villages are set to take part in this year’s Proms. Amongst them, Halford Village Hall will be hosting a Sing a Long Sound of Music show and Long Compton will be host to the sounds of the Mississippi Delta from The Big Ginge Blues Band who are in the process of recording their first album. 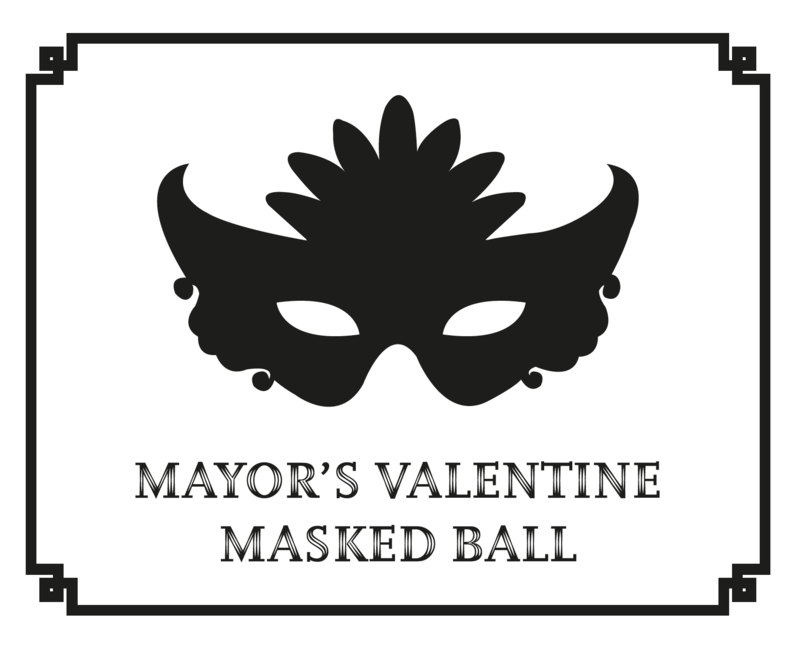 Shipston’s first Masked Valentine Ball, hosted by the Mayor and Mayoress of the town, saw civic dignitaries and local residents party the night away while raising money for local youth charities. The Townsend Hall was transformed into a 1920s-style ballroom, ready for approximately 70 guests to enjoy an evening of fine food, music and dancing. 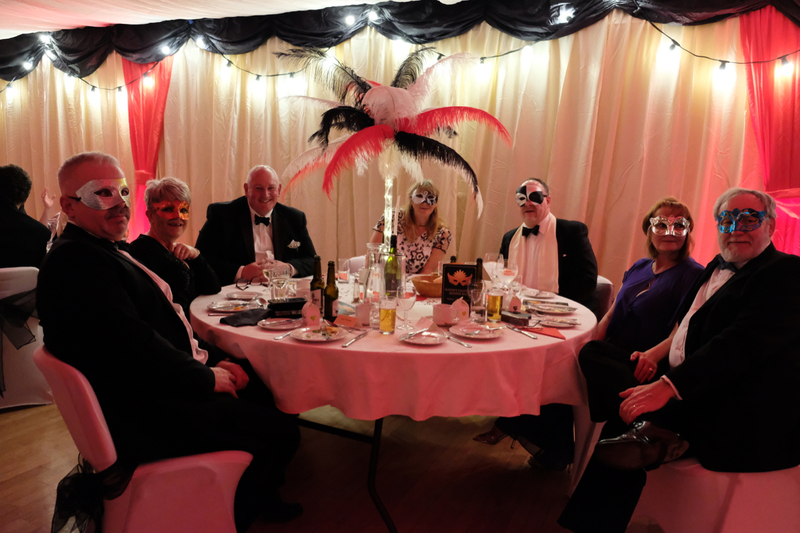 Dressed in black tie and a wide range of masks, guests were treated to a four course meal with wine, followed by the opportunity to work it all off on the dance floor. Champagne Charlie & The Bubbly Boys provided a lively accompaniment to the party. These sharply dressed musicians brought to Shipston the thrilling live sound of the jazz age. Charlie’s cabaret soon had guests taking to the dance floor to Swing, Tango and Foxtrot. Dancing continued with a mammoth conga around the hall, and to Charlie’s renowned “Champagne” call outs to switch partners during the Charleston. Amidst all the fun was the serious business of a fund raising raffle, kindly supported by local businesses. Thanks to generous donations ranging from bottles of gin to hampers and massage treatments, the raffle raised additional funds for Shipston youth charities. Shipston Town Council has voted to award grants to support a wide range of local projects, with the total contribution being £20,500 for the year. This is an increase of over £3,000 compared with last year. Shipston Youth Club - to support work to reach young people not currently attending the club and to help with costs for X-Fest. Citizens’ Advice South Warwickshire - to contribute towards the Outreach service. Shipston once again hosted a Christmas party to remember for those who would otherwise be alone on Christmas Day. Now in its third year, volunteers were out in force once again to create a memorable day for everyone. Approximately 150 joined the celebrations, 100 of whom would otherwise have been alone. The tables were laid for 90 people, with some eating on the go as they were busy getting stuck in to help. 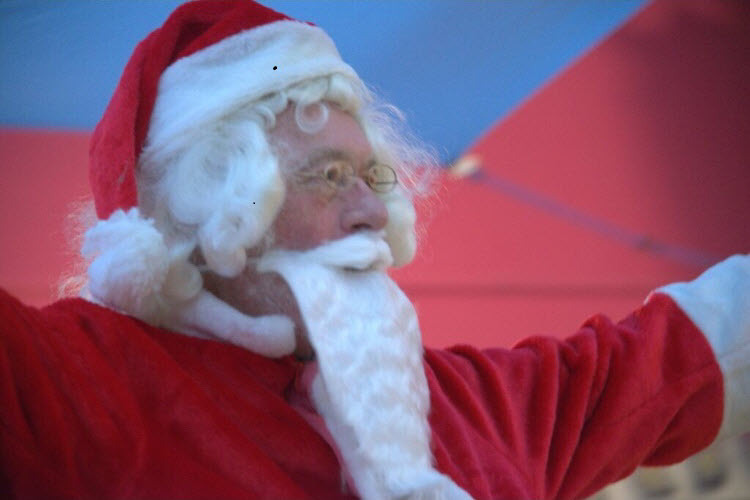 A winning combination of music from the Town Band, wonderful food and drink, a raffle, presents and Father Christmas resulted in a day of celebration. The event has grown in popularity so much that it has been putting Shipston on the Midlands map. A few days before Christmas, BBC Midlands News features a piece about the Community Christmas, including an interview with lead organiser, Tessa Hince, recorded in the town centre. The lunch attracted people from Banbury, Chipping Campden and Stratford as well as residents from Shipston. One guest wrote to say “Thank you very much for making a cloudy day a sunny day, I really enjoyed myself and the company”. One guest was seen leaving with another - they actually live close to each other in Shipston but had never met. Tessa Hince, said: “I would love to thank the members of our committee, Kate King and Russell Critchlow who put so much work into the organisation in the run up to the day. Alex Clarke spent four days in the hall decorating it and making it look absolute fantastic! A special mention must go to Nicola Hazleton who baked some sausage rolls for the team setting up and brought them down for us! But the thank yous don’t end there. “I would really like to say a huge thank you to the community of Shipston that rallied around and made the event possible.” Tessa added. Kate Judd for providing many items from the event’s shopping list and Mark Davies for providing the turkeys. Local businesses for their donations: Taste of the Country (soup),) Turners (vegetables) and Meg Rivers Artisan Bakery (cake for dessert). Huge thank you to Shipston Primary School for making Christmas cards for the guests. Lots of members of the community also baked fresh cakes and many donated raffle prizes and presents as well as decorations and Christmas trees! The event was also supported by the Townsend Hall, Shipston Rotary Club, St George’s Church in Darlingscote, Shipston High School, Hillers Farm Shop, Bookers in Warwick, Ivy Heart, E H Spencer, Venture 4x4, Station Road Garage, North Cotswold Brewery, Wendy Betteridge, Fosseway Hire and Hilary Bryan Catering.